We are excited to announce that we are working with Hollywood Houndz, a unique boutique, spa and hotel providing pets with the ultimate pampering experience. Every day, Hollywood Houndz rolls out the red carpet treatment for furry friends in Central Florida. 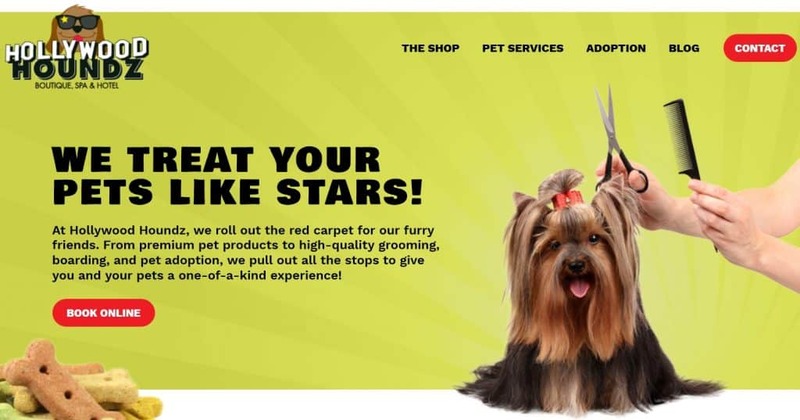 Services range from holistic pet food and freshly baked treats to durable toys and accessories, high quality grooming, boarding, and pet adoption. The staff is committed to give pets a one-of-a-kind experience, making them the star! Owner Alex Lima purchased the business almost a year ago. Formerly a successful attorney from Brazil, he is pursuing the American dream of entrepreneurship making a new life for his family in Florida. He plans to grow the business by expanding retail and boarding revenues, while strengthening brand awareness and customer loyalty. “We were referred to CKS Marketing Communications based on the proven track record they’ve developed over the years by helping small businesses. We are excited to work with their team to help us achieve our growth and financial projections this year. CKS Marketing came highly recommended, so we are anxious to start the process to work toward elevating our brand and increasing our customer base,” says Lima. “Alex has been a joy to get to know. He is dedicated and passionate about the business, despite coming from a different background, but working tirelessly to achieve success. We plan to alleviate the burden of guesswork and institute best practices to help him reach his projected goals through integrated marketing strategies. What sets Hollywood Houndz apart is the attention to detail and specialty services that his pet boutique offers,” says Christa K. Santos, president of CKS Marketing Communications. Extend the life and happiness of your pet. All new customers that spend $40 or more will receive a complimentary bag of treats! It’s Hollywood Houndz’ way of saying thanks for stopping in! Be sure to mention CKS Marketing so you can take advantage of this special offer while supplies last. Stay in touch with the latest tips, information and special offers by visiting their website www.hollywoodhoundz.pet and following on social media.